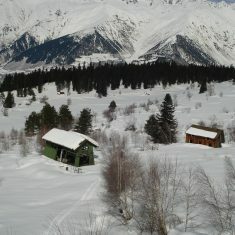 Mestia, Georgia | Mestia, Georgia | Ecosign Mountain Resort Planners Ltd. 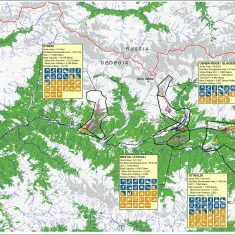 In June of 2010, Ecosign was retained by the Municipalities of Mestia, Georgia to prepare a Feasibility Study and Vision Master Plan. 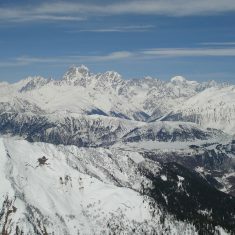 The study area is located in the Georgian Caucasus Mountains just south of the border between Georgia and Russia in the Mestia Municipality and encompasses a total of 3,770 square kilometers. Phase 1 of this study was to prepare a Technical Assessment of the natural terrain of the entire Mestia Municipality as it related to alpine skiing and snowboarding. This study identified potential base lands and analyzed their ability to support parking, skier services, accommodation and recreational activities. This study also evaluated and ranked all potential mountain resort sites with a capacity in excess of 5,000 skiers per day. Phase 1 was completed in October 2010. 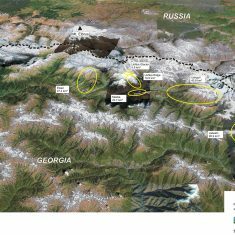 As a result of the findings from the Technical Assessment, development concepts for the preferred study area sites (Ushguli, Tetnuldi, Mestia-Atsvali, Ushba Ridge and Glacier and Etseri) were prepared.